What Is a ‘Breakout Year’? “Breakout” means something different to everyone, but in my discussions with senior executives, it means top line revenue growth in the 25 to 50 percent range. This target compares to historical growth rates of 5 to 8 percent. In most cases, the CEO responds with a well-thought response that draws on average customer value, how many new customers will need to be found, and the reasons why this type of growth rate should be obtainable — supported by detailed competitor and market share analyses. In other words, the aggressive revenue growth objectives are not just pie-in-the-sky numbers, but are based on some solid analysis. Why Are Small Businesses Missing Their Revenue Targets? Sales of the company’s product/service are complicated and time-consuming and the CEO did not have time to adequately train new salespeople. The company did not have any formal sales tracking tools (a CRM) so it was difficult to monitor the sales team’s activities, and months later there were no closed deals. The company did not have enough sales-qualified leads to keep the new salespeople busy and traditional cold calling methods did not work. These past experiences have made many of the CEOs I talk to reluctant to hire more salespeople. Some have started researching inbound marketing and probably half the group has made the investment in marketing automation software like HubSpot. Attracting the right kind of visitors to your website with educational content. Converting these visitors to leads by providing the right information that they are looking for at the appropriate time. Nurturing the leads into sales qualified leads with a targeted lead nurturing strategy. While these CEOs understand how inbound marketing could work for them, they do not know how to go about implementing the strategy and tactics required to generate more sales qualified leads. How do potential customers use content to make the decision to buy a particular product or service? How do prospective customers use content to evaluate a specific company’s process and offering? How can a company use content to attract qualified sales leads? The deliverables in this section are a buyer persona document and a content blueprint. Build the inbound marketing engine: creating the content (blog posts and premium content) that is identified in the content blueprint, implementing the content on the website following inbound marketing best practices (call-to-actions, landing pages, thank you pages, etc. ), and creating the workflows with the nurturing emails. Ongoing support, analysis, and refinement: continuing to create the content to keep the inbound marketing engine running smoothly, monitoring relevant metrics, and adjusting marketing activity based on the data. By using your company’s website and content assets to attract and qualify prospects, a well-executed inbound marketing campaign can generate more sales-qualified leads. Not only can inbound marketing generate more sales-ready leads, but also the quality of the leads is higher. If you do inbound marketing right, your existing sales resources will be able to make better use of their time, reaching out only to well-qualified leads. 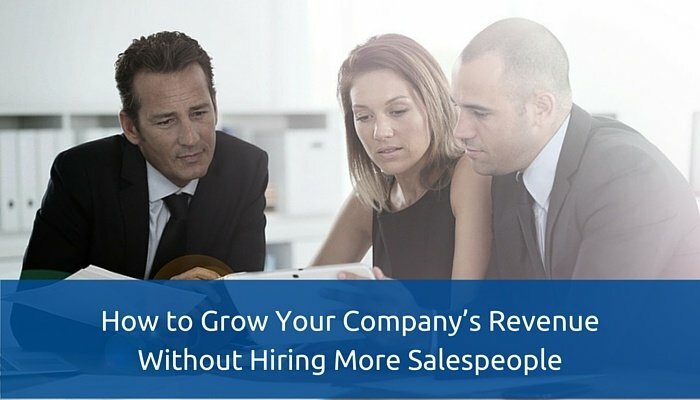 This will result in more closed deals — and no need to hire more salespeople. For the answer to that question, read this blog post.